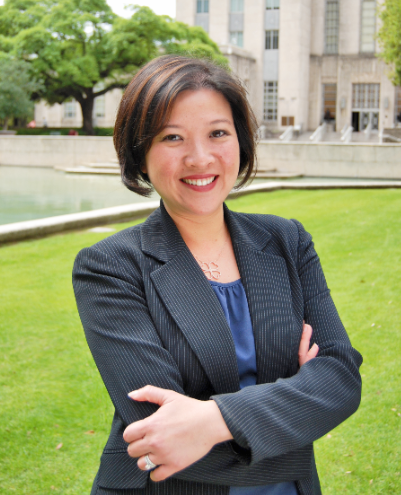 June 21, 2018 -- Mayor Sylvester Turner has chosen Tantri Erlinawati-Emo, a dynamic finance executive who has worked in Houston city government and private financial services for 15 years, to serve as director of the city Finance Department. The department helps achieve the objectives and long-term goals of the fourth largest city in the United States through financial management, fiscal planning, financial processes and business decisions. Ms. Emo has served as interim finance director since September 2017. “Also, we are fortunate that Tantri has helped manage the financial aspects of Harvey recovery in her position as interim director and will continue to serve the city through on recovery and disaster readiness,” the mayor added. The appointment is scheduled for approval by the City Council at its June 27 meeting. Emo served as deputy director of Houston Public Works from January 2017 to September 2017, where she oversaw a $2 billion budget to improve Houston’s Water and Wastewater System and managed financial involvement with Project Brays, which reduces flooding along Brays Bayou. Before then she worked for the Finance Department from 2007 to 2016, rising to a deputy director position. Prior to working at the City, she was employed by Outsource Partners International from 2003 to 2007, managing trust reconciliation and annual reporting for Service Corporation International, Inc.
Emo (in photo below) graduated with a bachelor of commerce degree from Curtin University of Technology in Perth, Australia, and a master of science degree in finance from the University of Houston.